Tina has worked in the NHS as an accountant for a mental health provider and then a Primary Care Trust for a total of twelve years. She has held the position of NAPICU Deputy Treasurer for two years. In this role Tina is involved in overseeing the registration of the association as a not for profit company and is identifying a cost saving programme. 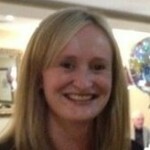 She has also been involved in developing robust budgets to ensure the future sustainability of the association.